Florian Zeller’s The Son tickets now available. Don’t miss your chance to get The Son tickets for the UK premiere of Olivier, Tony and Moliere award-winner Florian Zeller’s newest show. Following his incredible critically acclaimed works The Father and The Mother, The Son is expected to join the illustrious ranks of its parental plays. As a family starts to crumble a son starts to spiral. Nicolas has been ditching school, lying to his family and secreting strange things under his bed. Is this typical teenaged rebellion or do his actions point to something his family should be more worried about? The cast of The Son has been announced and promises to be stunning. Amanda Abbington will be playing the role of Anne. She is perhaps best known for her roles as Mary Watson on the BBC hit drama Sherlock and Miss Mardle in Mr Selfridge. She has also appeared on stage numerous times including roles in God of Carnage, and A Little Princess. Laurie Kynaston takes to the stage as Abbington's troubled son, Nicolas. Kynaston was in the Gielgud Theatre production of The Ferryman and recently worked on the Netflix series Derry Girls. They will be joined by John Light as Pierre, Oseloka Obi as Nurse, Amaka Okafor as Sofia and Martin Turner as The Doctor. 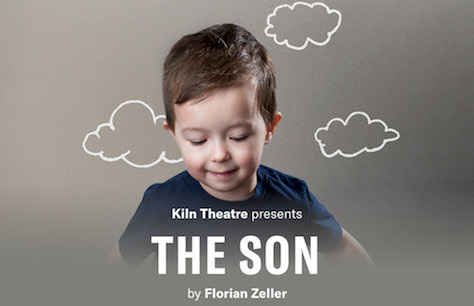 Acclaimed writer Florian Zeller brings The Son to London! For the first time in the UK The Son tickets are now available! Florian Zeller is a world-renowned writer whose work has received many awards and nominations. Among them a Moliere Award (plus 4 additional nominations), a Tony Award, and 2 Olivier Awards. The Son makes its entree onto the UK stage on the heels of the undeniably successful The Mother and The Father. If Zeller's previous works are any indication of his future success, it would be wise to book The Son tickets as soon as possible. The Son tickets are expected to sell out quickly so book yours while they are still available and don't miss your chance to see the end of Florian Zeller's family trilogy.